Smart Device Integration, Hands-Free Liftgate, Brake Actuated Limited Slip Differential, WiFi Hotspot, Cross-Traffic Alert Rear Spoiler, MP3 Player, Onboard Communications System, Aluminum Wheels, Remote Trunk Release. ENGINE: 2.0L ECOBOOST GVWR: 4,760 lbs, 3.07 Axle Ratio, VOICE-ACTIVATED TOUCHSCREEN NAVIGATION SYSTEM pinch-to-zoom capability, SiriusXM Traffic and Travel Link includes a, FRONT & REAR ALL-WEATHER FLOOR MATS, CHARCOAL BLACK, HEATED LEATHER-TRIMMED BUCKETS W/60/40 REAR SEAT 10-way power driver and passenger seat w/power lumbar adjust, driver seat memory, driver seat back map pocket. 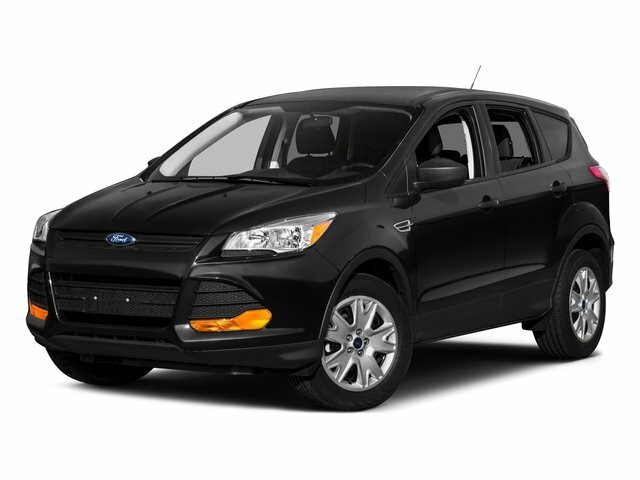 Ford Titanium with White Platinum Metallic Tri-Coat exterior and Charcoal Black interior features a 4 Cylinder Engine with 240 HP at 5500 RPM*. .
Edmunds.com explains "With its quick, precise steering and relatively sharp reflexes Great Gas Mileage: 32 MPG Hwy. Was $19,995. This Escape is priced $1,000 below NADA Retail.